This summer, eight teachers from across Oklahoma were selected to participate in Science Institute. ExplorOlogy® In Motion and the Sam Noble Museum help these teachers bring the science inquiry and hands-on education they experienced back to their schools with unique educational outreach programs. These programs are offered at no cost to Science Institute participants or their schools. Science Institute: ExplorOlogy® In Motion Brochure 2018-19. Classroom labs are a unique science experience for up to 30 students per class. An ExplorOlogy® educator will lead a 50-minute hands-on, inquiry-based program where the students become the scientists. These programs feature actual specimens for students to handle during their investigations. Animal Survivors (Grades 1-3) – What does every living thing need to survive? Students will meet some animals from Oklahoma, discover what helps them survive and play a game about animal survival! CSI: Ecosystyem (Grades 4-5) – Using animal and plant specimens as clues, students will discover what makes up an ecosystem. Students will be challenged to design their own ecosystem and see how it stands up to environmental changes. Classify It! (Grades 6-12) – Why is classification important? Looking for physical similarities between animals can help us figure out how they survive in their ecosystem. In this lab, students will create their own animal classification system and discover how much an animal’s appearance can really tell us. Paleontology Lab (Grades 6-12) – How can fossils help us understand the past? Paleontologists use fossils as important evidence in reconstructing ancient ecosystems and animal characteristics. Working in teams, students will excavate fossils and use comparative anatomy to discover what clues fossils hold to the Earth’s past. 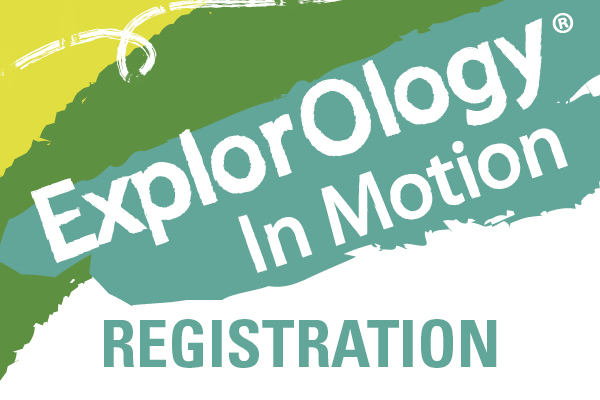 Bring ExplorOlogy® In Motion to your school! Review the Room/Space Needs information. Complete the online Program Registration form. If you cannot access the form, please contact us. An ExplorOlogy® educator will contact you to schedule your ExplorOlogy® In Motion experience. All reservations are made on a first-come basis. Register early to ensure your school reserves your preferred date. Registration deadline for the 2018-19 school year: March 1, 2019.